Jim Trezise became President of WineAmerica in 2017 after serving more than 20 years on the organization’s Board of Directors and Executive Committee. He has been involved with the grape and wine industry since 1982, primarily as President of the New York Wine & Grape Foundation which he co-created in 1985. 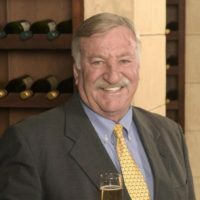 He has served on Boards of Directors of national and international organizations involved with public policy, research, marketing, and trade, and has received several national awards or accolades for his contributions to the American wine industry. He is a frequent speaker at industry conferences, and judges in many wine competitions around the world. He earned a B.A. in Psychology from Allegheny College, and an M.A. in International Communications from American University in Washington, DC. He lives and works on Keuka Lake in New York’s fabulous Finger Lakes wine region. Michael is the main voice of WineAmerica on Capitol Hill, taking WineAmerica’s message to Members of Congress and their staff. 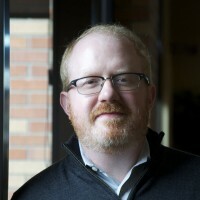 Michael also manages all external communications for WineAmerica. This includes press outreach and membership communication. Michael also actively recruits new membership for WineAmerica while getting the association’s message out to the masses. Michael is a regular fixture at industry trade shows and conferences throughout the country. He has been quoted in The New York Times, The Washington Post, The Associated Press, Vineyard and Winery Management Magazine, Wines and Vines and Wine Spectator. Michael is also the main point of contact between the organization and the Alcohol and Tobacco Tax and Trade Bureau (TTB) and handles general regulatory concerns for WineAmerica members. He is a member of the Board of Directors of Drink Local Wine and the Advisory Board of the Craft Beverage Expo. Prior to joining WineAmerica, Michael provided research and logistical support to two DC based lobbying firms. He also handled compliance issues with a major political party. Michael earned his BA in American Studies and Political Science from Rider University in Lawrenceville, NJ and a MA in Political Science from American University in Washington, DC. Tara Good works closely with WineAmeria’s government affairs team representing the American wine industry on Capitol Hill. 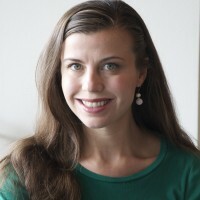 In addition to legislative work, she manages operations for WineAmerica, communicating with and growing the organization’s diverse membership. She has been quoted in articles and spoken at industry conferences across the country.